It’s in the nature of movie awards to underscore the work that’s already receiving a glut of (often unmerited) attention and neglect the worthier achievements that slipped by unnoticed. 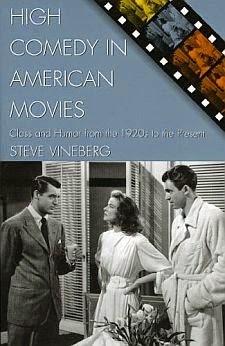 And these days, when there’s so little difference between the movies that get nominated for Academy Awards and the ones that are recognized by critics’ groups, there are fewer chances than ever to bring fine neglected work into the limelight. Since more than any other element in movies, it’s the acting that excites me – and since no movie year, however dim in other respects, is without its long list of impressive performances – the sidelining of deserving actors during awards season always puts me in a funk. Of course, some of the actors who win praise deserve it, like the Oscar-nominated actors from The Imitation Game, Wild, Boyhood and The Theory of Everything. The ones showcased below deserve it too, however, and weren’t so lucky. 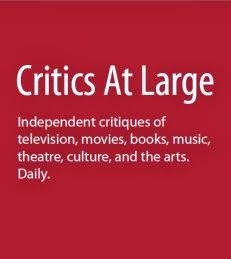 Since I reviewed some of the performances I liked best on Critics at Large in the course of the year, I won’t recycle my impressions of Al Pacino in The Humbling, Timothy Spall in Mr. Turner, Chadwick Boseman and Viola Davis in Get On Up, Keira Knightley in Begin Again, Jessica Lange in In Secret, Mia Wasichowska in Tracks, Agata Kulesza in Ida, Kenneth Branagh in his own film, Jack Ryan: Shadow Recruit, Annette Bening in The Face of Love, and the three stars of The Last of Robin Hood (Kevin Kline, Susan Sarandon and Dakota Fanning). Jim Broadbent and Lindsay Duncan in Le Week-End. Jim Broadbent and Lindsay Duncan, Le Week-End: In Roger Michell’s film, written by Hanif Kureishi, these two distinguished English actors play a couple who return to Paris, where they honeymooned as hipsters, to try to unearth the romance they once had. 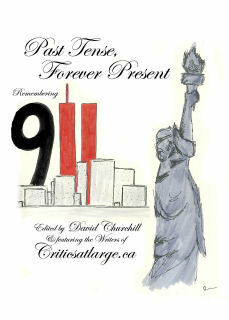 The movie doesn’t quite come off, but Broadbent and Duncan’s roiling performances honor their characters’ obstinate refusal to smooth out their rough edges – to assimilate. 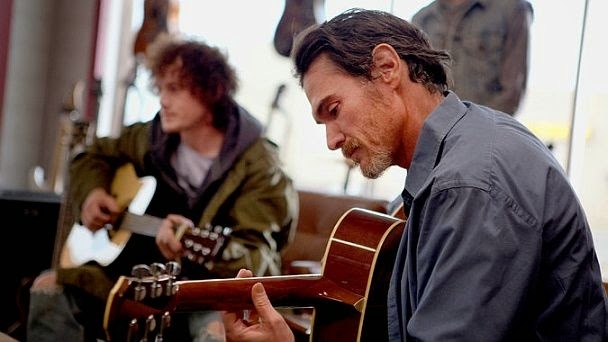 Billy Crudup, Rudderless: William H. Macy’s heartbreaking little picture (which he co-wrote with Casey Twenter and Jeff Robison) went straight to DVD. Crudup plays a man who throws over his life when his son dies in an incident of campus violence and can only find his way back when he begins to perform the music the boy left behind. Crudup is a thorny actor of unpredictable gifts; aside from his work in Stage Beauty, where he played a seventeenth-century actor specializing in women’s roles, this is the best performance he’s given so far. 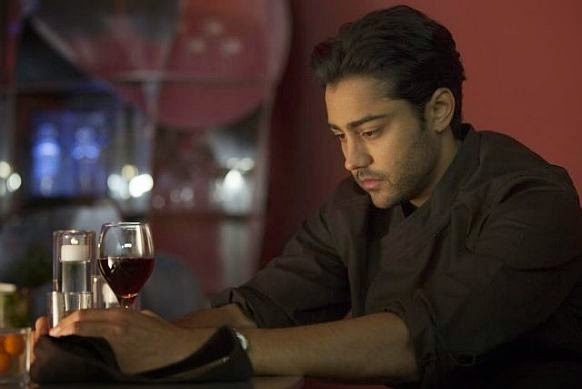 Manish Dayal in The Hundred-Foot Journey. Manish Dayal, The Hundred-Foot Journey: This lush, satisfying movie by Lasse Hallström is about émigré Indians who open a restaurant next door to a three-star establishment in the French countryside. The nominal stars are Helen Mirren (in a lovely performance) and Om Puri, but the protagonist is the son of the Indian restauranteur, who impresses his French competitor enough that she takes him on to train him in traditional French cuisine. Manish Dayal, who plays the part, is a young actor with a combination of delicacy and star presence. Gugu Mbatha-Raw and Minnie Driver in Beyond the Lights. Minnie Driver, Beyond the Lights: The African American filmmaker Gina Prince-Blythewood made this enjoyable melodrama about the romance between a troubled young pop singer (the unusual, charismatic Gugu Mbatha-Raw) and a cop (Nate Parker) whose father (Danny Glover) is grooming him for a career in politics. Minnie Driver plays the heroine’s stage mother, whose driving ambition for her daughter would make her an obvious villain – in a less interesting movie and a less interesting performance. 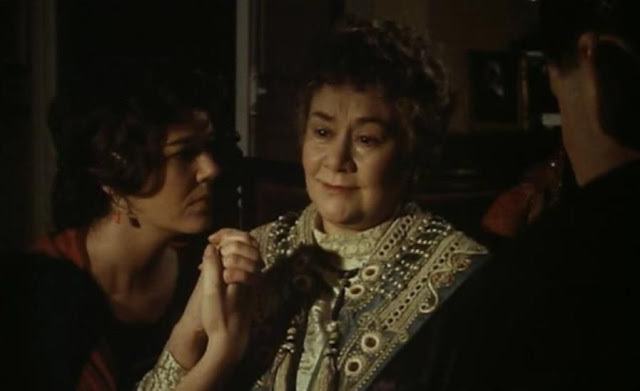 Driver makes her character’s motives complex and her treatment of her daughter simultaneously unsettling and sympathetic. 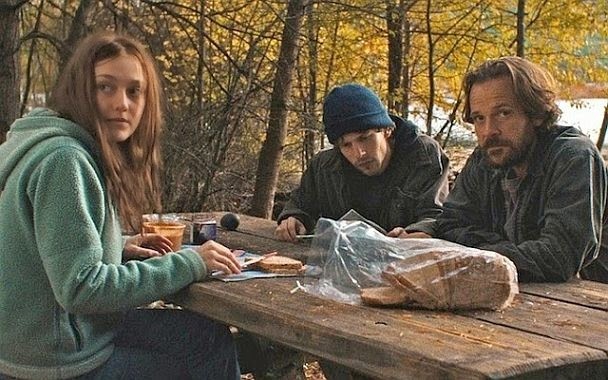 Dakota Fanning, Jesse Eisenberg, and Peter Sarsgaard in Night Moves. Jesse Eisenberg and Dakota Fanning, Night Moves: I’m not generally a fan of Kelly Reichardt’s movies (Wendy and Lucy, Meek's Cutoff), but here her focus on the breakdown of a pair of eco-terrorists who unwittingly cause the death of an innocent man produces psychological suspense that transcends her usual problem of a lack of filmmaking instincts. Except for The Social Network, Eisenberg has never done better work, and he’s matched by the ineffable Dakota Fanning, who gave two superb performances in 2014. 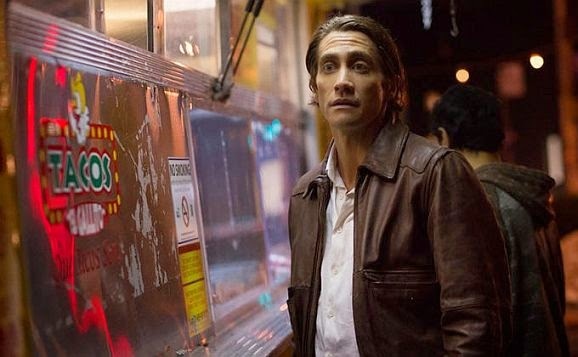 Jake Gyllenhaal, Nightcrawler: In Dan Gilroy’s astonishing debut film, Gyllenhaal plays a freelance L.A. crime photographer, a sociopath whose environment not only camouflages his nature but turns him into a minor celebrity. (Taxi Driver was Gilroy’s obvious influence.) A striking talent from the outset, Gyllenhaal is getting better and better, and this performance is on two sides of the same coin: it’s sleek and reptilian. 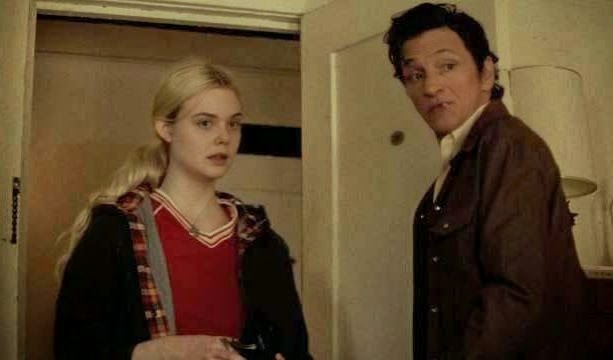 Elle Fanning and John Hawkes in Low Down. John Hawkes and Elle Fanning, Low Down: In Jeff Preiss’ film of A.J. 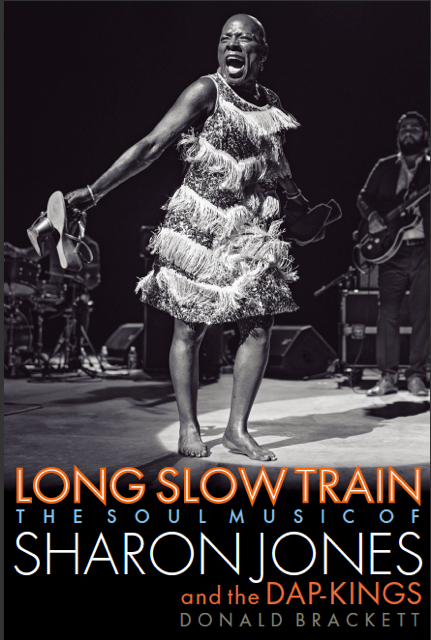 Albany’s impressionistic memoir about life in L.A. with her dad, the jazz pianist/junkie Joe Albany, the rapport between John Hawkes and Elle Fanning has an improvisational musicality. Hawkes is the ultimate experiential actor: in small roles or large ones, as the old expression goes, you never catch him acting. Fifteen when she shot this picture, Elle Fanning had already given some of the most startling child performances in American movies, in Somewhere and Super 8. 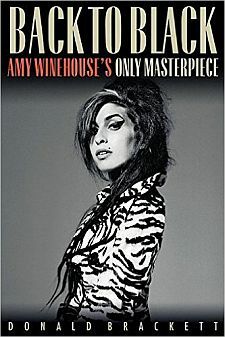 She’s shockingly gifted. Rachel McAdams and Grigoriy Dobrygin, A Most Wanted Man. 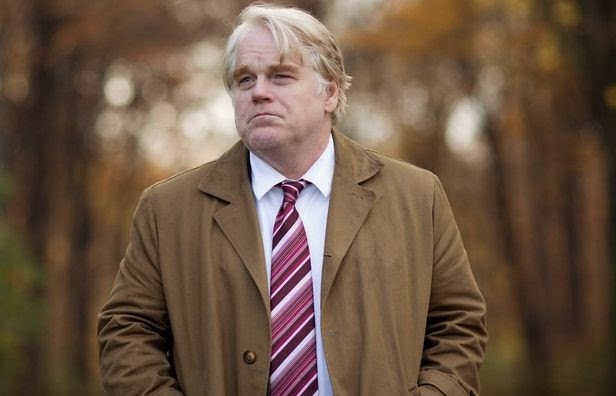 Philip Seymour Hoffman and Grigoriy Dobrygin, A Most Wanted Man: It’s a shame that this John Le Carré adaptation didn’t draw better audiences. The screenplay (by the Australian playwright Andrew Bovell) improves on the novel, and under Anton Corbijn’s gripping direction the entire cast – which also includes Willem Dafoe, Robin Wright, Rachel McAdams and Daniel Brühl – performs splendidly. Hoffman, in one of his last movies, plays a Hamburg security agent who becomes involved in the case of a Chechen illegal immigrant (Dobrygin, in a performance so freshly conceived that it doesn’t feel like anything you’ve seen before). 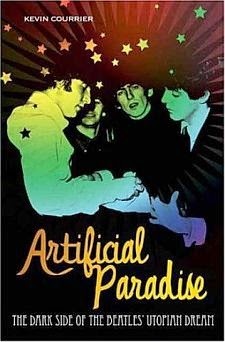 Coming out just a few months after Hoffman’s overdose, this performance – without doubt one of his finest – added an extra layer of sorrow to the film’s tragic narrative: you walked away thinking about all the great work his death, at a mere forty-six, robbed us of. 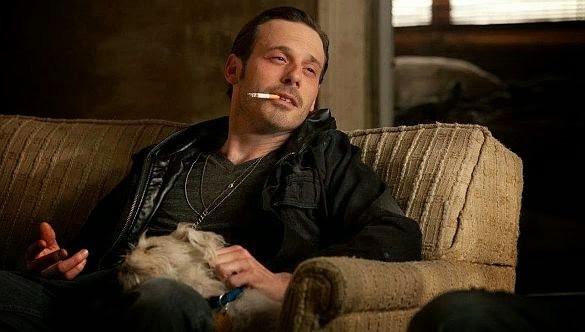 Scoot McNairy in 2012's Killing Them Softly. Scoot McNairy, Gone Girl: It’s high time someone took note of this amazingly versatile character actor. He’s the small-time gangster in Killing Them Softly whom Brad Pitt terrifies into betraying his best friend, and the refugee in Argo who gets the group onto the plane out of Tehran by using their phony storyboards to turn their fictional sci-fi fantasy into a metaphor for Iranian freedom fighting. McNairy has just one scene in David Fincher’s Gone Girl, but it has an urgency woefully missing from the rest of the picture. He plays an earlier victim of Rosamund Pike’s machinations who, sharing his story with Ben Affleck, seems as spooked as the survivors in some of Brian De Palma’s classic horror stories. Miyavi (Takamasa Ishihara) in Unbroken. 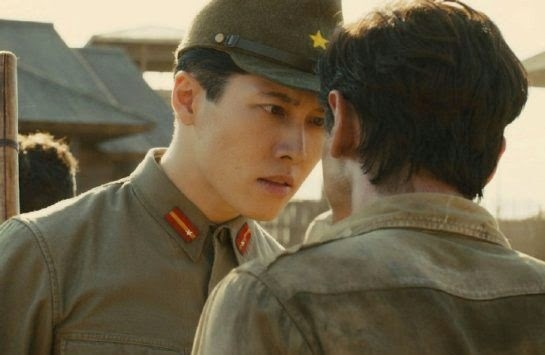 Miyavi (Takamasa Ishihara), Unbroken: Miyavi’s depiction of the sadistic camp commandant is the only aspect of Angelina Jolie’s adaptation of the Laura Hillenbrand bestseller that doesn’t feel bland and worked-over. He gives the character a disturbing sensuality, though like all the most memorable villains, his Watanabe is finally a mystery, his motivation impenetrable. 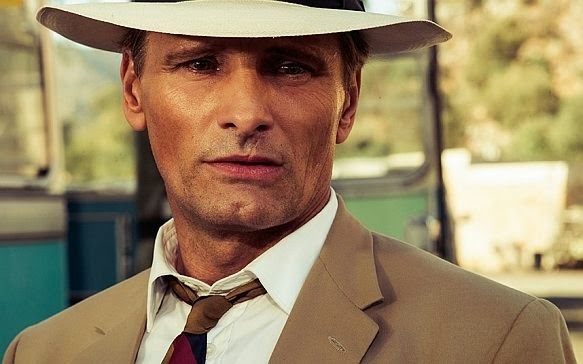 Viggo Mortensen in The Two Faces of January. Viggo Mortensen, The Two Faces of January: In this tight little noir, written and directed by Hossein Amini out of a Patricia Highsmith thriller, Mortensen, Kirsten Dunst and Oscar Isaac play three people whose unstable bond becomes increasingly deadly. All three give terrific performances, but Mortensen is the standout. 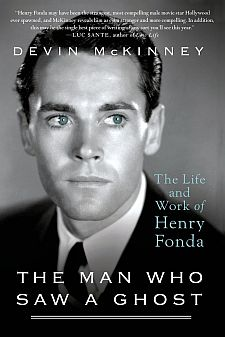 He takes us inside the psychology of a scam artist – a man of seedy but compelling charm – who takes a small but irrevocable step that dooms him. 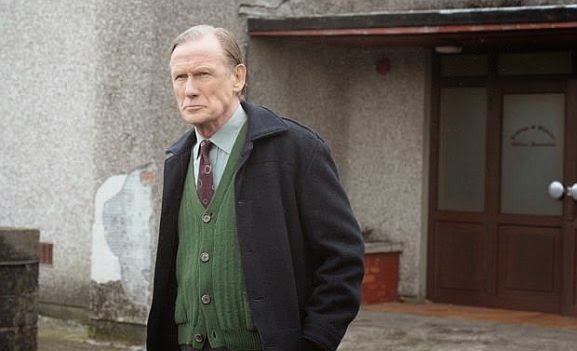 Bill Nighy, Pride: Bill Nighy has such a distinctive style that his complete immersion into the role of a closeted gay coal miner in Pride gives you a jolt. Pride is a sentimental comedy by Matthew Warchus about an odd historical footnote, the commitment of a group of London gays and lesbians to support the striking coal miners in Thatcher’s England, and though it’s about half an hour too long and finally a little maudlin, it’s cheering and extremely well acted. (The impressive cast also includes Imelda Staunton, Paddy Considine, Dominic West and Andrew Scott.) Nighy’s muted, utterly convincing performance was the best by a supporting actor I saw all year. 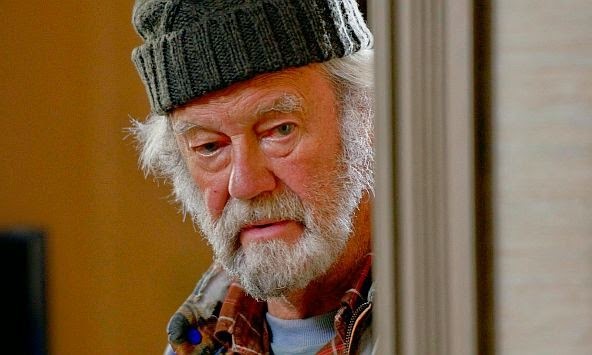 Gordon Pinsent in The Grand Seduction. Gordon Pinsent, The Grand Seduction: If American moviegoers recognize the craggy, contemplative Canadian actor Gordon Pinsent, it’s from his sensitive performance as Julie Christie’s husband in Away from Her. The Grand Seduction, another Canadian import (directed by Don McKellar), slipped in and out of art houses last year. 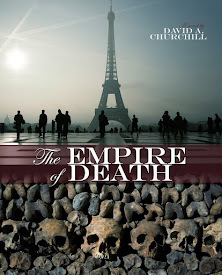 It’s about the efforts of a tiny, bankrupt Maritime town to secure the services of a big-city doctor (Taylor Kitsch) so that they can persuade a company to open a factory that will revitalize the community. The movie is a bit of a poor man’s Local Hero, but it has its sleepy charms, and chief among them is Pinsent’s portrait of a permanently pickled resident, a paragon of comic understatement. Jeremy Renner in The Immigrant. Jeremy Renner, The Immigrant and Kill the Messenger: Renner gave two of last year’s best performances, one leading, one supporting. 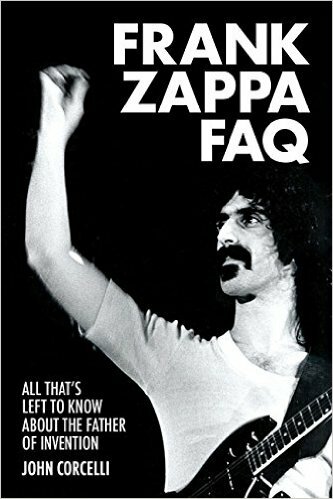 In Michael Cuesta’s undervalued political thriller Kill the Messenger, he brought a sense of urgency to the role of Gary Webb, the small-time investigative journalist who uncovered a shocking link between the CIA backing of the Contra counter-revolution in Nicaragua and the cocaine explosion in African American ghettos. His performance as Joaquin Phoenix’s raffish magician cousin in James Gray’s period melodrama The Immigrant is in quite a different key. Marion Cotillard drew most of the notice for The Immigrant (she plays the titular character), and she’s a knockout, but Renner provides a welcome tonal counterpoint. Maya Sansa in Dormant Beauty. Maya Sansa, Dormant Beauty: Though we don’t get enough chances to see them, the Italians are still turning out sensational movies, and Marco Bellocchio, at seventy-five, is still making some of the best ones. Dormant Beauty, which was released on these shores last year, revolves around the story of a comatose young Roman woman who has become the focal point for both pro- and anti-assisted suicide groups. 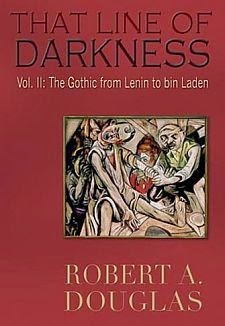 Maya Sansa, an actress whose jagged sensibilities play against her serene, classical beauty, is cast as a young depressive whose case – her efforts to kill herself are countered by a doctor whose stand against suicide is more moral than spiritual – is juxtaposed with that of the coma patient. Sansa has shown up in a number of the best Italian movies of the millennium, like The Best of Youth and Bellocchio’s Good Morning, Night, always in vibrant performances, yet her name is still unknown to North American audiences. 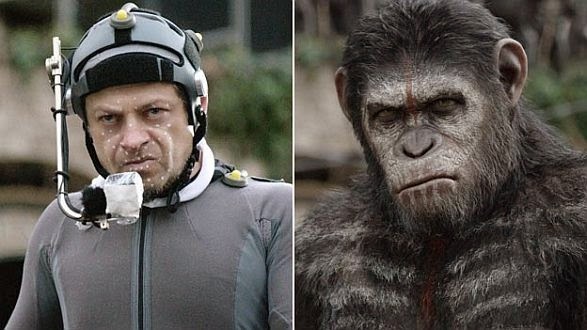 Andy Serkis (left) filming a scene for Dawn of the Planet of the Apes. Andy Serkis, Dawn of the Planet of the Apes: Andy Serkis must be the most gifted unclassifiable actor working in movies right now. 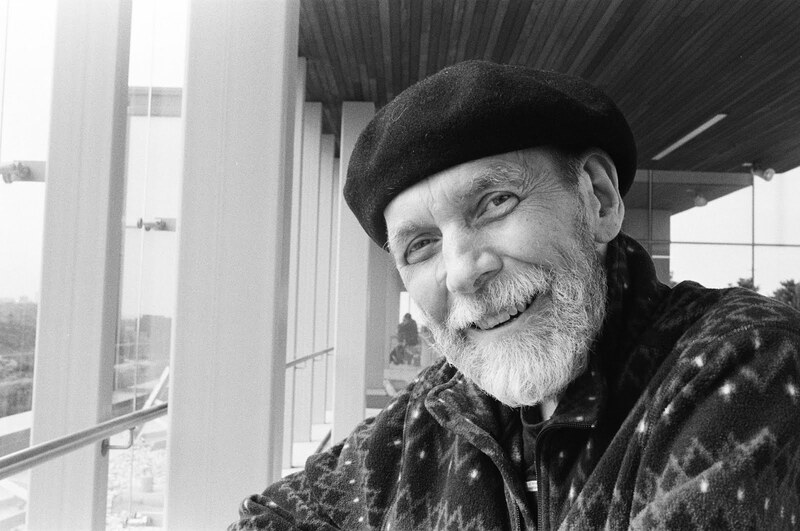 It’s easy to downgrade what he does in movies like the Lord of the Rings trilogy, King Kong and the retooled Planet of the Apes franchise by relegating performance capture to the realm of technology, but the fact is that he’s extraordinary in these roles: he finds the locus of intersection between creatures like Gollum and Kong and Caesar the ape and human psychology. That, of course, is the point of the Planet of the Apes narrative. Dawn of the Planet of the Apes, magnificently directed by Matt Reeves, is the most emotionally engaging entertainment I saw last year. And at its heart is Serkis’ grandiloquent portrayal of a simian monarch whose love for the man who brought him up (played by James Franco in 2011’s Rise of the Planet of the Apes) provides a bridge across bitter experience back to his knowledge of what humans can be at their best. Channing Tatum, Foxcatcher: For all its seriousness of purpose, I don’t think that Steve Carell’s performance in this film manages to transcend the prosthetics used to transform his face. It’s a dopey tradition in Hollywood to treat actors who change their faces as if they were de facto delivering great performances (Nicole Kidman in The Hours, Charlize Theron in Monster), and Carell falls into that category. Meanwhile the achievement of Channing Tatum has been sidelined, as if by comparison he were merely a pretty boy. But Tatum – who is also the real star of the picture – is the main reason to see it. (Mark Ruffalo, as his brother, is the other one.) He’s grown by leaps and bounds as an actor in the last couple of years and here he gives a brilliant exhibition of how to convey the feelings of a laconic, repressed man of amazing athletic gifts who expresses himself entirely through his body. John Turturro in Fading Gigolo. 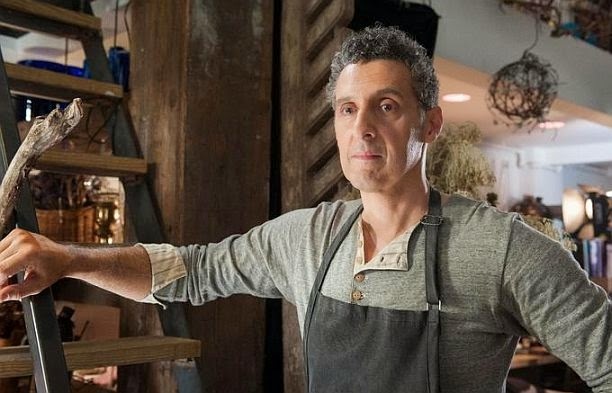 John Turturro, Fading Gigolo: John Turturro played the gigolo of the title in his own movie, a tricky comedy because it is so whimsical in nature, and whimsy is perhaps the most difficult of all styles and tones (I think it qualifies as both) to pull off. Fading Gigolo doesn’t quite work, but it’s very funny and months after you’ve seen it you recall it fondly. Woody Allen plays an enterprising fellow who convinces Turturro’s character to sell his body to women who crave sexual happiness that has eluded them; in this fable-like picture, the sexual transactions never seem base or banal. Turturro has become a more and more accomplished performer over the years; here his acting is graceful, understated and economical, almost as stylized in its way as silent comedy or ballet. This selection seems to cover about half the movies made in 2014, and touches on other years as well. Can they all have been under-appreciated?